A beautifully tactile ring, textured with a striking diamond cut design in rich and classic 9ct gold. Simply stunning. 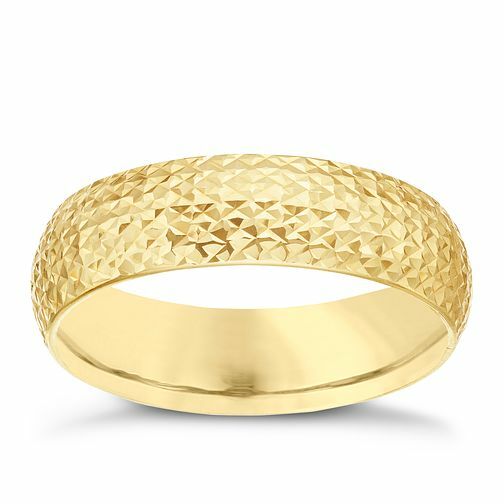 9ct Gold Diamond Cut Textured Ring is rated 4.3 out of 5 by 4.